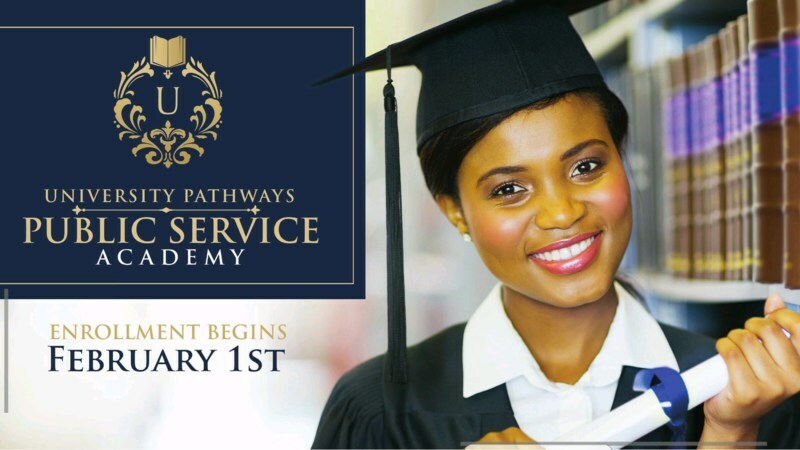 University Pathways Public Service Academy is committed to providing all students with the opportunity to concurrently earn a high school diploma and an Associated Arts degree. We plan to educate, empower, and enable all students to become agents of change. Unity-Promoting a sense of community, UPPSA embraces positive relationships through Restorative Practices that will establish common bonds and obligations within and beyond the campus while respecting individual and cultural differences. Continuous Improvement- UPPSA promotes having a growth-mindset with the pursuit of theoretical and practical knowledge while encouraging the idea of challenges as learning opportunities. Instilling integrity, the UPPSA family will act with dignity and honesty while adhering consistently to the UPPSA’s ethical codes. Achieving Excellence-the UPPSA family believes in superior performance while recognizing the importance of persistence toward goals. Collective Work and Responsibility- mutual assistance that each UPPSA school community member provide to one another. Welcome to The U! As Change Agents, The U will graduate college and career-ready ambassadors who are independent, socially conscious, and prepared to embrace their roles to use public service to inspire positive change in the global community. Thank you for visiting our new website! 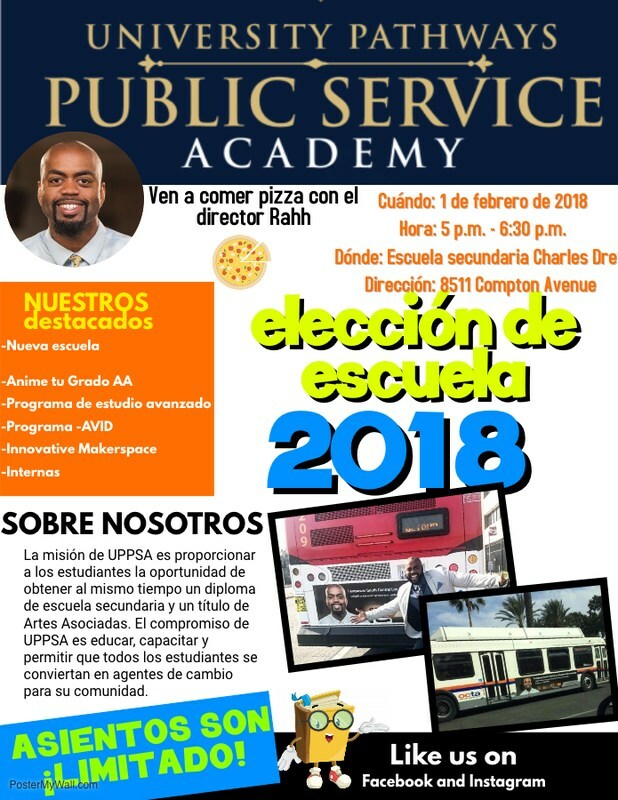 February 1, 2018 we will begin enrollment. We have limited seats, therefore, please make sure you get your application in on this date. Enrolling 9th and 10th Grade Now! 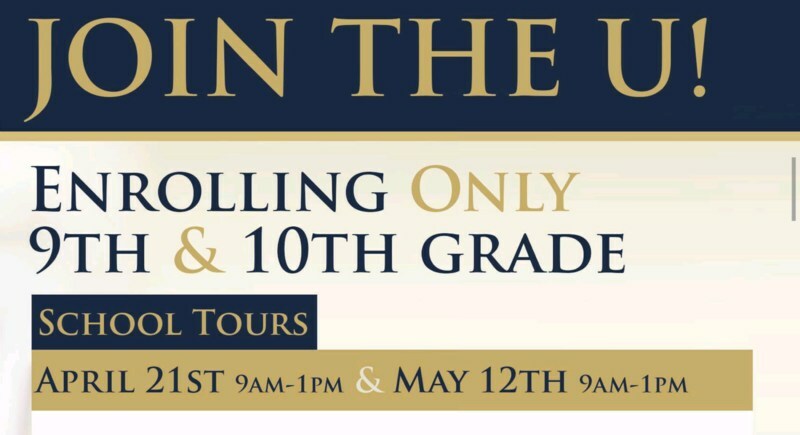 We are only accepting enrollment applications for 9th and 10th grade students. We will expand to the 11th grade for the 2019-2020 school and expand to the 12th for the 2020-2021 school year. Principal Rahh is our school leader who believes in inspiring positive change with his students. He believes that all students deserve to have a school that will provide them with all the resources needed to be competitive in the 21st century.